An excellent race I can thoroughly recommend, though at 9.5 miles on a hot day, hard work at times. Starting from the Ponderosa Café so plenty of food and drink available. The course involved some quite steep ascents and descents for the first couple of miles, followed by a much easier Moorland section. Drinks stations were provided on this part as the route conveniently crosses a minor road a couple of times. The sting in the tail with this course in the last couple of miles when you retrace your steps back over the hills, which made the sight of the Ponderosa Café and the nice grassy descent to the finish line very welcome. Finish times not yet available. 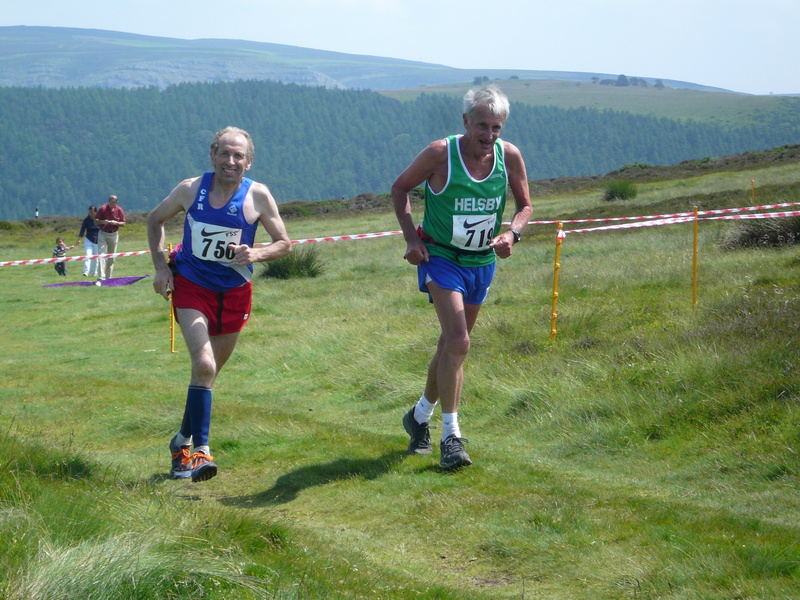 Particularly well done to Robbie for completing his first fell race since his comeback. Editor’s note: what Ian describes as the ‘sting in the tail’ actually resembled a scene from the trenches. It was a war of attrition out there, sworn enemies sharing water and jelly babies, brave warriors reduced to a shuffle with only the thought of being heckled by Joe at the top pulling them onwards. It was great! Edit: Lots of pics now up here. 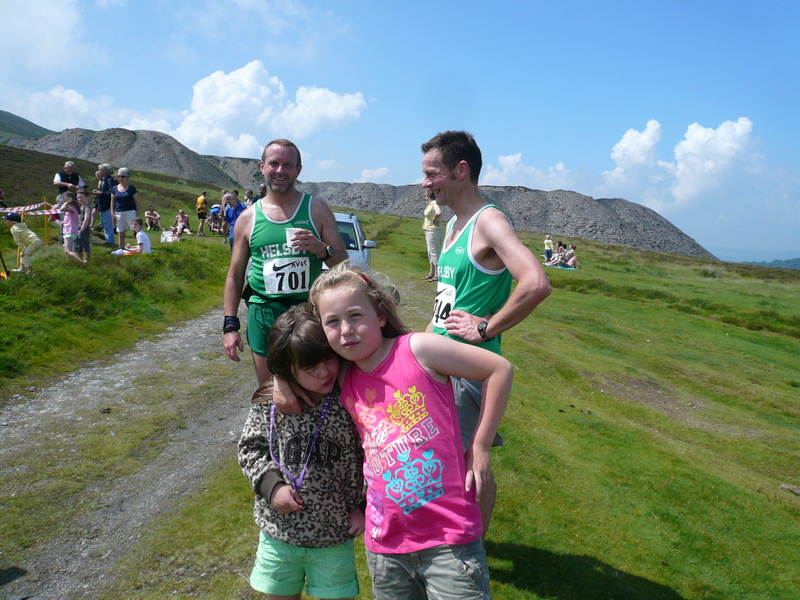 This entry was posted in Uncategorized and tagged fell race, jelly baby, joe beswick, Moel y Gamelin. Bookmark the permalink. Well done everyone. Looks such a nice day. Remember it being a very tough race last time I did it!